That’s significant because for years, Apple’s iOS operating system for iPhone and iPad has been the preferred first stop for any company launching an app. If an app succeeds on iOS, then only later will a company think about making a version for Android. Often months or years later, and sometimes never. That’s why Android apps tend to look and feel a bit second-rate compared to the same apps on iPhone — they often are just that. The iOS/Android split is weird because globally 80% of users are on the Android system, yet iOS and its roughly 10% of users are the top priority for developers. So it would be dramatic for companies to reverse that trend. 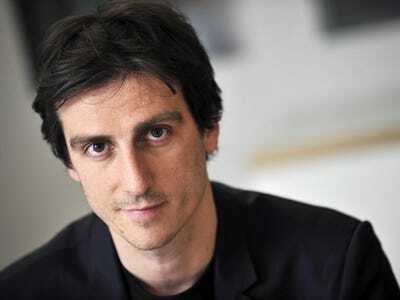 Yet that is what Facebook is seeing among some companies in Europe, according to Facebook’s Europe, Middle East, and Africa platform director, Julien Codorniou. Developers are beginning to sense that because more people are Android users than Apple users, they’re losing money by working on the smaller iOS platform first, he told Business Insider UK. Historically, Apple has been the preferred platform. Apple’s higher-income users are often more lucrative targets for app advertisers and in-app payments and shopping. It’s also simpler for developers to use, Apple has only one version of iOS running at any one time (the newest one) and the vast majority of Apple users keep their devices updated to the newest version. Android, by contrast, is “fragmented” into several different versions across hundreds of different phones — and all those versions are a headache for developers who must make a separate app tailored for each one. Wait, Android developers? Android-first, really? Do you work at an app developer that switched to go Android first? Contact Business Insider UK at [email protected] to tell us your story.